Norman Lee DeAtley and Eula Anne (Tucker) DeAtley. 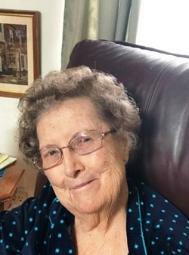 She was a devoted member of Olivet United Methodist Church. Family will receive friends on Sunday, August 12, 2018 from 1:30 p.m. until 2:30 p.m.
Olivet Road, Lusby, MD 20657.